Condominiums are a great investment for single people living alone, young couples starting out and the elderly needing assistance. Condo ownership is a less costly alternative to single family homes from the sales price, maintenance and improvements. The best way to protect your investment in a condominium is to know how old the complex is and when the systems and structural components were repaired or replaced. If the building is more than 30 years old it’s likely that the windows have been replaced once or need to be upgraded, not just replaced, but upgraded. Who is responsible to replace your condo windows depends on your HOA, however for most HOAs, the homeowner is responsible unless there are special circumstances. 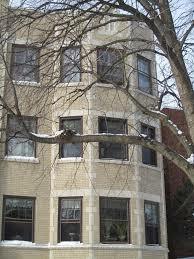 Leaking condominium windows are not always obvious, that is of course, until the problem is hard to ignore. Most CC&Rs (Covenants, Conditions and Restrictions) assign windows as the homeowner’s responsibility, yet when leaking windows become a structural concern the association typically assumes the project of replacing the windows in the entire building. While the question of who will pay for the new windows is important, if you have a system wide problem, the question is who will diagnose and solve the problem? The common expense and unit costs can be determined after project estimates are obtained. Whether you’re a homeowner or the property manager for a homeowner’s association (HOA) you know that your building’s curb appeal directly impacts property values, so old beat-up entry doors don’t bode well for what’s inside. Let’s face it, first impressions matter and an entry door is one of the first things guests will see. In HOAs, exterior doors are usually “limited common elements”, which when replaced benefit everyone. A homeowners’ association (HOA) is simply an independent legal organization formed by a group of homeowners that establishes rules and regulations with regard to what is accepted and what is not accepted in homes, flats, condominiums, etc. An HOA is also mandated with the task to oversee the rules and determine the money spent on communal property. Homeowners associations are gaining in popularity in neighborhoods and communities throughout Chicago. With that said, more and more homeowners are joining these associations in order to protect their rights. Most townhouses, single-family subdivisions, and condominium have their own HOAs. The CC&R’s or Covenant, Conditions & Restrictions are usually issued to members, and there are rules and regulations to ensure that they’re observed. The CC&Rs can control or limit how a homeowner can use their property or shared property. For instance, a Covenant, Conditions & Restrictions may have established rules determining the colors a homeowner can paint his/her home, who can occupy the property, or the times at which joint social amenities such as pools and community playgrounds can be used. The main goal of CC&Rs is not to frustrate owners, but to make the place enjoyable for all occupants. However, a potential home buyer ought to consult one or two existing homeowners before buying a property that comes with HOA membership. Members are normally billed compulsory fees. There’s usually a controlling board that appoints a manager to oversee law enforcement and handle repair or remodeling issues. Homeowners associations are authorized to order and put into effect design and maintain, standards with the exception of those established by the country’s government. Some HOAs will maintain public social amenities, provide security, arrange for community landscaping, and control waste like sewage and garbage.